The University of California San Diego released a list recently with the top 10 emerging careers in the U.S for college grads for the next ten years. According to the report, "interpreters and translators" topped the list, followed by "Operation Research Analysts," and "Personal Financial Advisors." Within ten years, the number of interpreters in the US should increase by 31% with around 67.000 people employed earning an average of U$21.90 per hour. To read the full research, click HERE. The lack of qualified professionals to do medical translations is concerning, article shows. 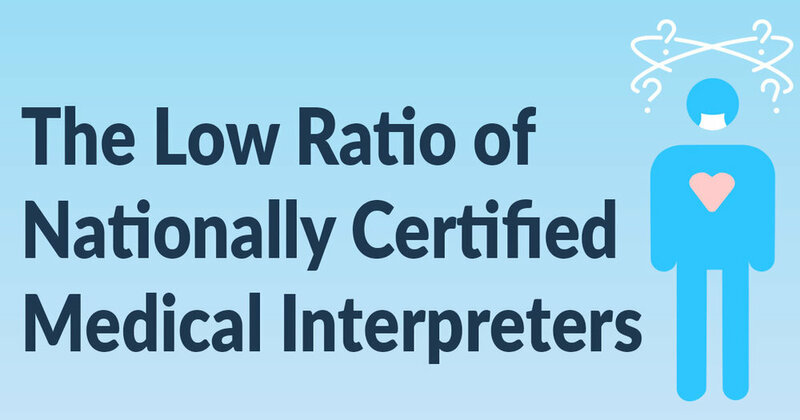 According to an article published on Emergency Physicians, the number of Nationally Certified Medical Interpreters is only 3,000 in a universe of almost 30 million LEP patients. That means only 1 interpreter for every 10,000 patients, states Olivia Norrmén-Smith and Raviraj Patel in "Lost in Translation? Here is the map". Even though some Hospitals may have their own internal qualification and allocation processes for interpreters, according to the article, "residents nonetheless reported great difficulty in accessing qualified in-person interpretation through approved channels. "This is concerning, once the quality of healthcare of these patients relies on a good communication skill. Misunderstandings may lead to errors that could be even fatal in the worst case scenario. Olivia explains that the difficulties in obtaining a good certified professional, in many cases, leads to the use of unqualified interpreters or even family members. "Residents reported feeling “frustrated” and “powerless” or doing more guesswork, testing, and omitting conversations", concludes. A guest blog post by Kaitlin E. Thomas, M.A. "We live in a unique time when many communities are being forced to reevaluate the manner in which they administer services to demographics that present new linguistic and cultural challenges at an unprecedented rate. Too often the solution is to rely on tools that only serve to widen the gap by producing nonsensical text (a challenge for those with low or nonexistent literacy levels) or essentially belittle the patient by speaking “at” them rather than “with” them, or at worst, not speaking to them at all."